Congratulations to all of the JAC-supported candidates who won their races this week. These are just a few of them with JAC members around the country. Thank you to everyone who worked to get out the vote this week. Former JAC President Gail Yamner canvassed in the rain Tuesday to Get Out the Vote for Mikie Sherrill. The newly-elected representatives come from across the country. Although their districts are diverse, they are united in their strong desire to start getting things done in Washington by placing principle over politics. JAC helped, with your support, to elect many of these new female members. We were involved in over 100 races across the country and are proudly sending 80 of these candidates to Washington. Women are part of the 40 new members - the 3rd largest freshman class since Watergate. The new members have tipped the balance of power in the House in a very meaningful way. Some races have yet even to be decided. Democrats will now hold key leadership and committee posts. The committee chairs determine what legislation is moved out of their committees, while the Speaker of the House determines what bills reach the House floor for a vote. We can at last have hearings, debates and votes on our country's most pressing issues. Election turnout hit a 50-year high thanks in part to women and millennials. Tuesday's winners also include all those people that waited in lines to vote, knocked on doors in the rain and heat, and spent time calling voters. We are proud of all our JAC members who worked across the country to make Tuesday such a success. We all win when we participate in democracy, even if our candidate loses. Click below to see JAC's 2018 Election Scorecard. While some races are still undecided, see how JAC-supported candidates fared in this election. The results of the midterm elections will make it more difficult for Israel to maintain bipartisan support among American politicians and the public, says Deputy Minister and former ambassador to the U.S. Michael Oren. But they have likely strengthened U.S. President Donald Trump's resolve to reach a solution to the Israeli-Palestinian conflict through the "deal of the century" he has drafted, Oren said. 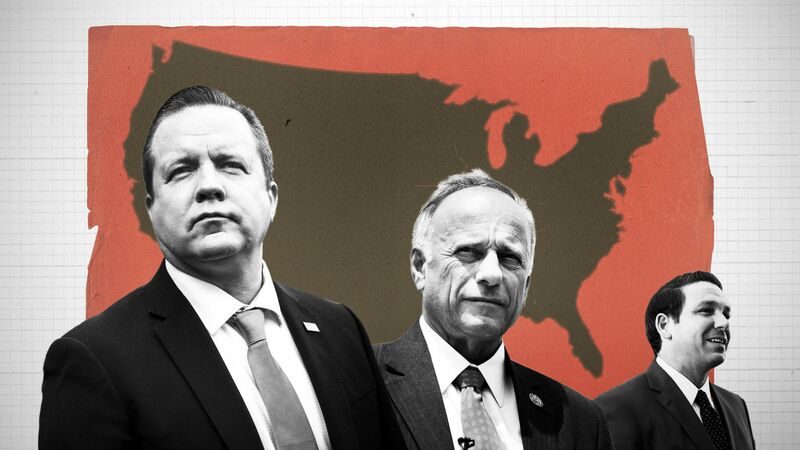 In 2018, an astonishing number of self-described white nationalists (including a former president of the American Nazi Party) ran for local, state, and national office in states from California to North Carolina - with the vast majority running as Republicans. The results of this weeks election were still being tabulated on Wednesday when Trump's Department of Health and Human Services quietly finalized two rules empowering employers, universities and nonprofits to refuse birth control coverage to women. A third rule, also announced Wednesday, would require insurers on the Affordable Care Act marketplace to charge women a separate monthly bill for abortion coverage - a change that advocates say would be so prohibitively expensive it could force insurers to stop offering the procedure altogether. The story of the 2018 midterms for me came not on Election Day but at a Republican campaign rally in Missouri, when President Trump's speech was interrupted by medics tending to a supporter who had collapsed. Bystanders launched into "Amazing Grace." This illustrates the great irony of evangelical Trumpism. Supporters tolerate and even cheer his white-nationalist appeals, and they ignore the rampant corruption and criminality in his administration, while rarely taking account of how his appeals to fear and division trample the grace found in the gospel. In his first two years in office, President Donald Trump has moved to appoint dozens of conservative judges to the federal bench, moving faster than any president since at least Ronald Reagan. On top of two Supreme Court justices, Trump has appointed 29 judges to U.S. appeals courts across the country. The appointments, Majority Leader Sen. Mitch McConnell has said, are his "top priority." Which Results in the Midterm Elections Matter Most to Jews? Democrats took control of the House of Representatives in the midterm elections, with Jewish Congress members poised to take key leadership roles. Republicans looked to increase their majority in the Senate. Five Jewish Democrats are set to chair key House committees, including three representatives from New York: Jerrold Nadler, the Judiciary Committee; Eliot Engel, Foreign Affairs; and Nita Lowey, Appropriations. Adam Schiff of California will head the Intelligence Committee and John Yarmuth of Kentucky will lead the Budget Committee. JAC II Chicago: Evening with Moran Birman, Israel Consul for Public Diplomacy, November 29. Details to follow. "Every American must put country before party to protect the rule of law."